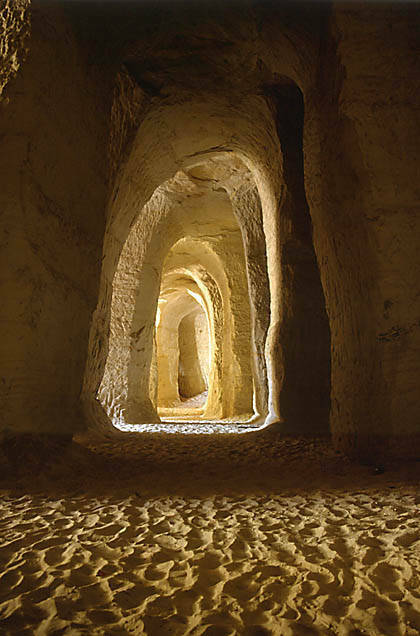 The caves of Piusa are in fact galleries of a former quartz sand quarry. Construction has left a system of parallel and crossing passages with sandstone columns left to support the ceiling separating the galleries. This deposit of good quartz stone was discovered by geologist Hendrik Bekker in 1920. Mining of the light sandstone of the Gauja bed of the Sventoji stratum started here in 1922; industrial mining at Mõrsjamäe started in 1924 .In the beginning, mining was done in adits and the sand was carried out in trolleys. This kind of mining stopped in 1966, when a quarry was opened north of these caves. By 1985, the annual production of this quarry was 28,000 tons. The caves were closed in 2006 due to the danger that the caves would collapse. After closing the openings and stabilising the ceiling, the caves were opened for visitors in 2008 as the Piusa Cave Museum with a sightseeing platform. Earth construction techniques have been known for over 9000 years. It has been building material in all ancient cultures, not only for residential houses but for religious buildings as well. Even today 1/3 of human population lives in earth houses, mostly in developing countries with hot and dry climate. The earth is the most important local building material in the world even today. 	The first period lasted from 1850 to 1870.In that period buildings were without foundation and the houses were built mainly by using cob technique. 	The second period lasted from 1870 to 1900. In that period earth houses were still mostly farm houses, but now they had foundation. Window and door frames were made of wood and the houses were built using so-called pise´technique. 	The third period lasted from 1906-1914. In that period residential houses were built also and window and door frames were made of concrete. 	The fourth period lasted from 1920-1930. The earth buildings were built in the city also, for example Tartu still have some buildings made of earth today. In Estonia, the earth building tradition can be divided in two regions. 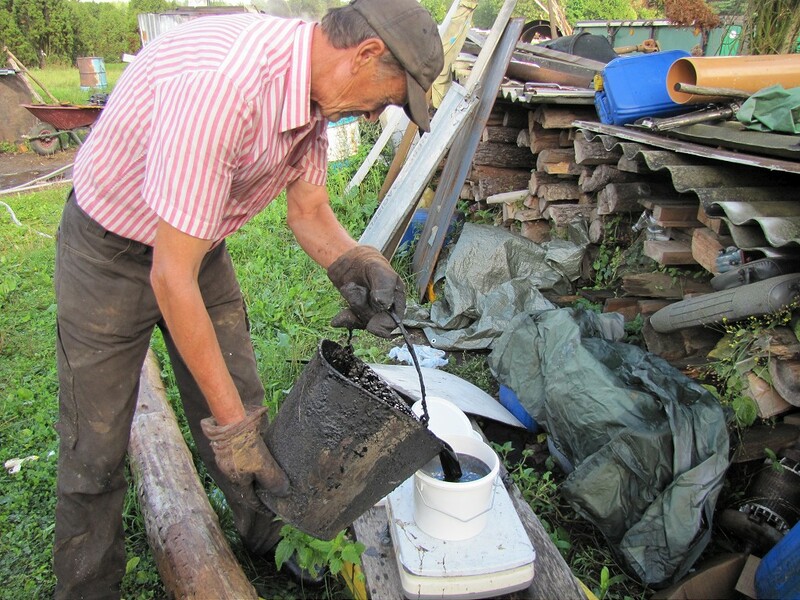 There is lots of earth buildings in South-Estonia and a long tradition to use clay as building material (many of them still in good condition), but in North-Estonia the tradition to use clay as building material didn't develop. So why have people all through history used clay as building history. Because it has been available in most regions, and it is cheap building material, mostly obtained directly from the building site. 	Earth construction is ideal for DIY construction. 	Earth is not water-resistant. Estonia has a traditional earth construction but like in many other European countries unfortunately the know-how is disappearing. So that is why the need to promote clay as building material , to study the old traditional techniques and develop new innovative techniques to build houses with loam. And that is what Estonian University of Life Sciences is doing. One of the research field in EMU is loam and earth buildings (the old and new ones). 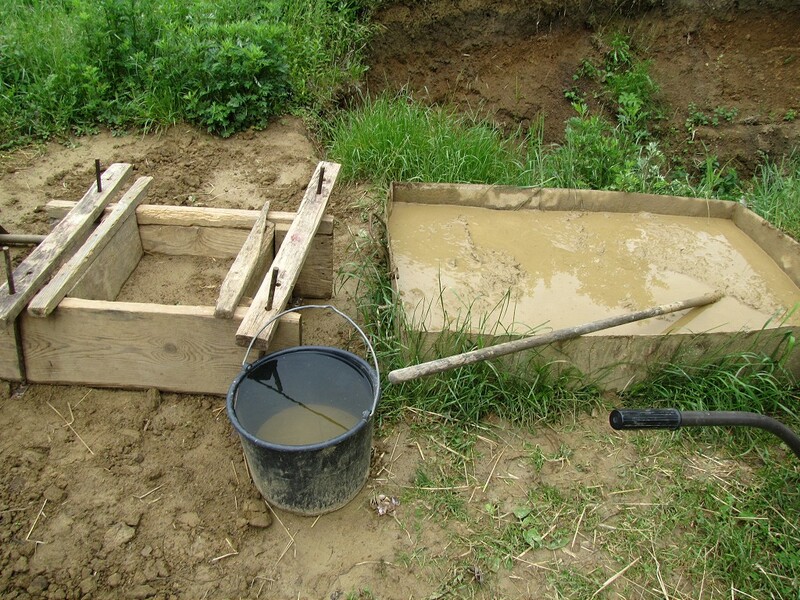 We are studying their thermal and mechanical properties, developing simple methodology for identifying loam and its suitability for clay plasters and lightweight clay, find out the ideal or at least the most appropriate composition of clay plasters and clay blocks. SkinNova Ltd. is a tannery in Pärnu, Estonia, with a sales office in Tallinn. The company was founded in 2006, but we have more than 10 years experience working with fish leathers. We have developed our own, environmentally and health-friendly technology for the making of fish leather. We mainly work with local species of fish from the Baltic Sea region: salmon, trout, pike-perch and pike. In our production we use tanning and finishing chemicals from leading European manufacturers. Being a European manufacturer ourselves, we adhere to the strictest environmental and safety regulations. We work a lot with local Estonian designers and manufacturers of leather goods, but we are also building our own network of international customers, mainly bag and shoe manufacturers, fashion and small leather goods industries, as well as leather wholesalers. To promote fish leather as an exotic and natural fashion material for the future, we opened an Internet-shop on our website, where you can view and buy products designed and produced by our partners using our fish leather. Please proceed to our website! SkinNova produces leathers of bag, shoe and garment quality. We also manufacture using our patented method ’transparent leather’, which can be used as innovative and pretty interior design material on lamps, book covers, for business cards and advertising prints etc. The finishing types of our leathers vary from nubuck to high-gloss. The choice of colours is literally unlimited: in addition to our standard colour range, we can also accommodate special orders. In our processes we only use chemicals and dyes from the best European manufacturers. The finished leather does not stain, tolerates dry cleaning and has outstanding surface resistance to friction. And – the most important thing that everyone who sees fish leather for the first time asks – IT DOES NOT SMELL LIKE FISH!